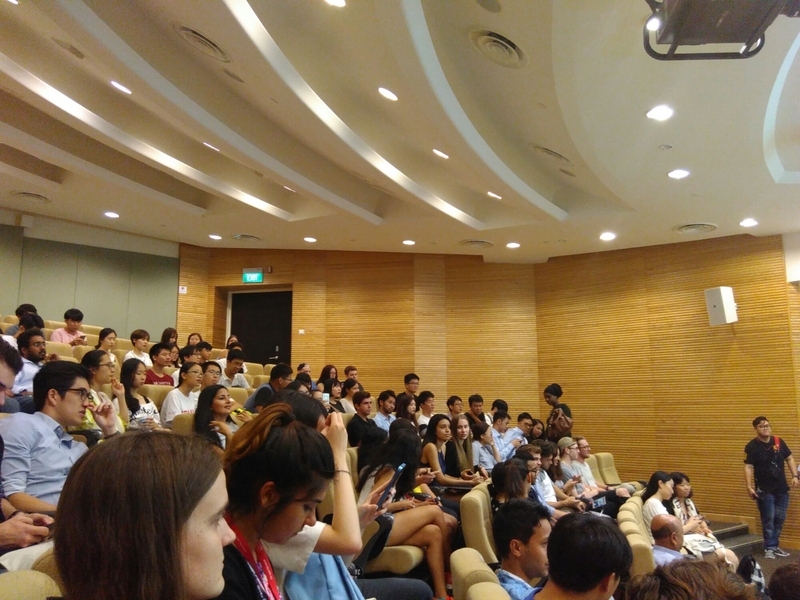 Welcome to the fifth and last part of my blog series “GEM Trailblazer Summer in Singapore’s NTU”! In this post I will talk about the farewell party, end of course and departure. Hope you enjoy it! On the afternoon of Monday the 25th, the Farewell party took place in the Nanyang Executive Centre. As the Welcome Party, the first part of the evening was composed of a presentation by the director of the program. He proudly talked about how 217 students took part in the GEM Trailblazer Program by NTU this year, from 19 countries and 52 universities. The first year in which the program run (2013), the participants number was much smaller: just 27! NTU has made a lot of efforts to increase participation and will continue to do so over the years. While highlighting the importance of the studies we carried out in NTU, the director also pointed out the importance of the friendships we made and keeping in touch via social media, and even visiting each other. And lastly, he sent us on a mission to act as NTU ambassadors in our home universities, talking to prospective summer students about the good and the bad of NTU! The presentation was followed by some performances from participants of the program. Chinese language students sang a song in Chinese, a group of Australian girls sang a song about their home country and a girl from Hong Kong sang a song to show us her heritage. Afterwards, there was a prize draw for those who submitted pictures of their time during the program (I didn’t because I forgot). And then, it was dinner time! The food was as good as the one for the welcome party. My company too: it was the last time all my pals and me got together to have fun (this is because I got ill & I couldn’t go out anymore for the rest of the week). It was a bittersweet moment: we cracked jokes, took pictures and had fun for hours, yet realising we were celebrating our departure was hard to digest for me. I actually felt like if many of those students were my friends, and I don’t use that title lightly. They had seen a part of me that many haven’t in years because of my struggles to socialise. And they never let me aside or forgot about me, I was included in their plans normally. I was genuinely sad about our separation. I just hope we stay in touch despite the distance (bless social media). Another moment of saying goodbye happened during our last cultural intelligence lesson on Wednesday the 27th. Instead of the usual 9:00am to 12:30pm session, we had a 10:30am to 12:00pm session. Our teacher gave awards & certificates to the best film, actor and actress from the group project presentations we did days earlier. She also gave awards and/or certificates to the top contributors to our Facebook group. I won an award for this, which was a box of chocolate! During the session we also discussed how we felt when the module started and how we felt when it was over. On top of everything, we received a second CQ report that showed our CQ improvement over the last three weeks and a half. After receiving my first report, I decided to improve my culturally intelligent leadership, my planning and all the components of my CQ Action. Fortunately, my report showed improvements in all of those areas, mainly culturally intelligent leadership. I was very pleased and surprised to find this out. Just as delighted as I was when I found out later on the day that I had passed the course with grades between A*-A for all the different parts of my assessment! Although it was a short course, I think that learning about a new concept (Cultural Intelligence) has made a huge impact in my personal and professional lives. Keeping and making friendships, navigating and succeeding in cross-cultural organisations will be easier from now on. Thursday the 28th was my last day in NTU & Singapore. My roommate left early on the morning; saying goodbye was hard. I left around 4pm, closing my room and giving my keys to reception. When doing so, I had a flashback about my arrival. 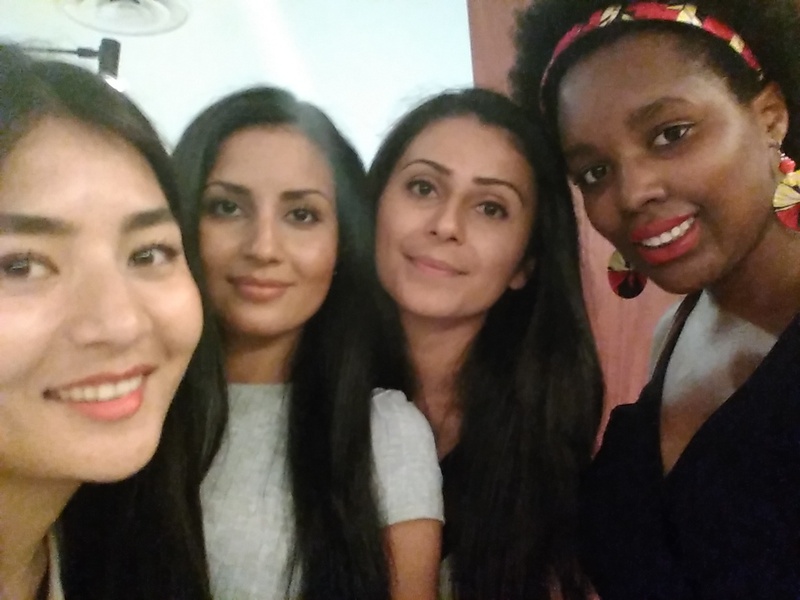 I left NTU in the same way as I arrived: sweaty, with heavy bags and mixed feelings. Nevertheless, this time I wasn’t feeling curious and scared; I was feeling grateful and sad. Grateful for the opportunity I was given, sad because I had to leave. My last week in NTU and Singapore arrived faster than I expected. Before I could realise, the summer program was over. When I applied, I thought one month would be long and I would have time to enough to explore Singapore fully, as well as other South East Asian countries such as Indonesia, Malaysia and Thailand. Needless to say, I was very naive. The month went by very fast, and due to a series of reasons, from money matters to poor health, my to-do list was far from complete by the end of the program. However, I would be lying if I said I’m miserable about this: looking back at every fun moment had, everyone I met and everything I learnt, I wouldn’t change anything about my time in NTU and Singapore (except my poor health). Hopefully, me and that beautiful country will meet again in the future.